Science and technology have played Dr. Frankenstein with youth baseball bats for quite time, beginning with the aluminum bat and gradually building to the “space age” technology which produces Composite Bats. The issue with non wooden bats originally was the idea they were an enhancement tool, as baseballs hit with an aluminum bat traveled 20 to 30 feet farther than that with a wood bat. The majority of sports people saw no issue with the slight enhancement and pointed to the financial aspects of replacing broken wooden bats, as in the beginning, aluminum bats were only a few dollars higher than wood bats, but of course that has risen to a few hundred dollars more expensive. The recent fervor has been ignited by the safety factor these bats now pose to fielders, especially infielders at the corners and the pitcher. 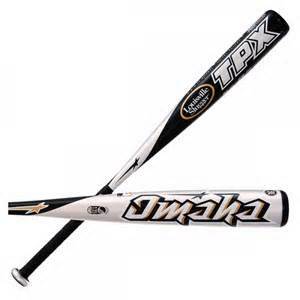 Due to the composite configurations, the ball comes off the bat at many times the speed of a wood or original aluminum bat, and players are not able to react in time to catch or dodge the speeding ball. A 16 year old youngster, hitting right handed and solidly pulling a ball down the third base line with a New Age composite bat, is quite capable of hitting a line drive which could literally kill the third baseman before he could react.